Juhl, a 344–residence, loft-style community that spans an entire city block in downtown Las Vegas and known for its flexible floor plans and industrial chic design aesthetic, announces its partnership with The Beverly Rogers, Carol C. Harter Black Mountain Institute (BMI) at UNLV to launch Juhl’s Writer in Residence program in downtown Las Vegas. The new initiative, a first of its kind, is the next generation of Juhl’s Artist in Residence program launched in 2016 with celebrated Nevada visual artist Justin Favela as the community’s first artist in residence. The Writer in Residence program and partnership with BMI provides an opportunity for select BMI writers to live and work rent-free at Juhl in the heart of downtown Las Vegas. The residency includes a two-level, live/work space at Juhl with a ground-level studio space of approximately 1,000 square feet and approximately 1,000 square feet of living space on the second floor. 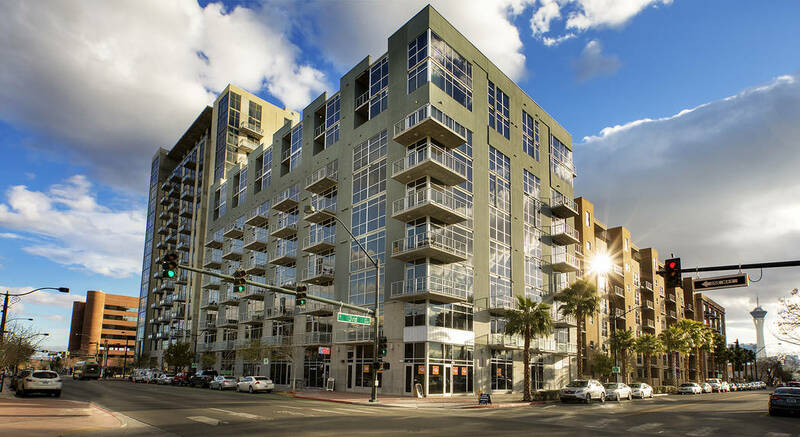 According to Uri Vaknin, a partner at KRE Capital LLC, whose company, in partnership with Dune Real Estate Partners, purchased Juhl in 2013 as DK Las Vegas, Juhl is a mecca for artists and innovators in downtown Las Vegas because of its location between the Arts District and the Fremont East Entertainment District. Sara Ortiz, BMI’s new program manager, who just assumed her responsibilities with BMI after running programs for the Texas Library Association in Austin, Texas, will be the first writer to live at Juhl under the new program. She and her partner, Steve Siwinski, will host several gatherings this summer in the Juhl studio space for community members, writers, artists, arts leaders and other arts and literary stakeholders as she focuses on fully integrating into the Southern Nevada community. Starting Aug. 1, writer Niela Orr, interviews editor for The Believer, a bimonthly literary magazine of interviews, essays and reviews published by BMI in Las Vegas, will take up residency at Juhl. A writer with credits in The New York Times, BuzzFeed, Elle and McSweeney’s, Orr has coordinated interviews for The Believer with such cultural luminaries as David Byrne, Paul Beatty and others. Juhl is an urban destination, complete with 20,000 square feet of curated ground-level retail that complements the neighborhood’s existing retail, seamlessly connecting downtown districts, including the Arts District, from which it draws significant inspiration. Juhl is a popular residential choice for professionals and entrepreneurs, especially many who work at firms and courthouses throughout downtown’s expansive legal community.